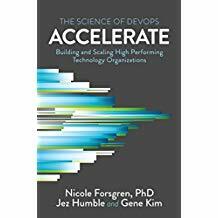 As a software craftsman you know that DevOp practices like Continuous Delivery, modular architectures, trunk based development, test automation, working in small batches and Continuous learning do make a HUGE DIFFERENCE when it comes to software delivery performance! 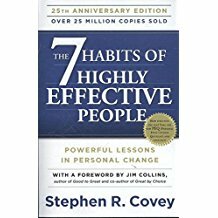 This is one of these books which try to help you achieving more of what is important to you. 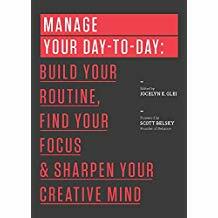 It is definitively not the first book I have read about “being more productive” and “focus”, but “Manage Your Day-toDay” gave me a few new insights and reminded my of some things I had learn some time back already but got forgotten in the chaos of daily business. In fact I think every software craftsman should read regularly - at least once a year - about “focus” and “productivity”. It is all too easy to get lost in these many and “important” things which pop up every day on our desks and in our email in-box. Could you also spent your whole day sending and responding to email just to wonder what you have done the whole day in the evening? Implementing Clean Architecture - Are Asp.Net controllers "Clean"? In the previous post I have discussed controllers and presenters. I have shown you how I have implemented my controllers and presenters in the Athena project. 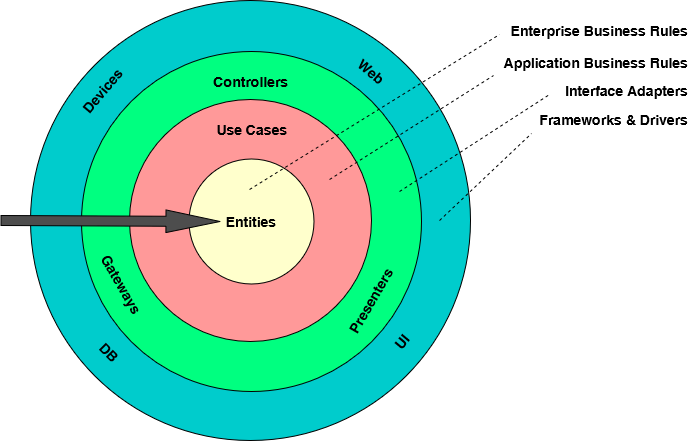 In Asp.Net MVC a controller derives from System.Web.Mvc.Controller which creates a dependency from my controller to the Asp.Net framework. Taking the Dependency Rule strict that either means my design is invalid or my controller actually belongs to the “frameworks” circle. In order to learn what others think about this design I have posted my question at StackOverflow and had a discussion with @herbertograca. 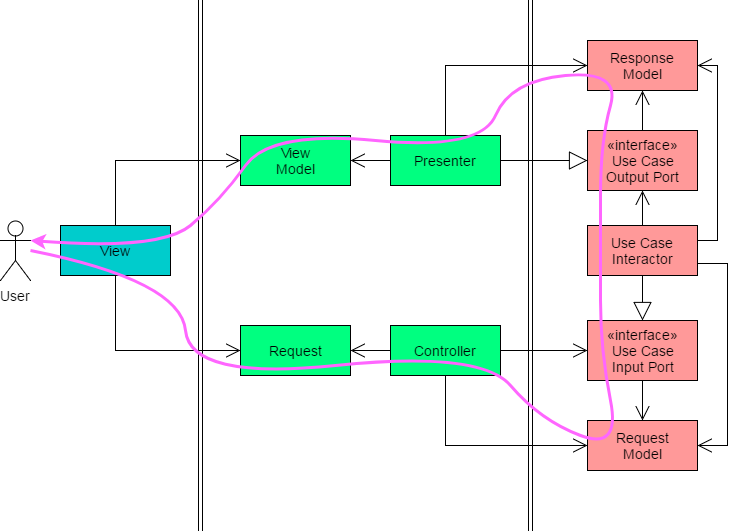 In this post I will take this question up and dive deeper into the world of controllers and presenters in the context of the Clean Architecture. 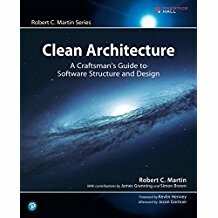 While preparing my next post on Implementing Clean Architecture I watched again Uncle Bobs famous talk on Clean Architecture and Design. I know it is more than three years old but if you are interested in Clean Architecture you should take your time and watch it. Uncle Bob explains nicely - and a little bit funny as usual ;-) - what the Clean Architecture is about, how the puzzle is built up and why it has to be like this. Today I found a nice article on the NDepend Blog: An Introduction To Clean Architecture. The post gives a nice introduction by first motivating clean architecture by looking at the short comings of the traditional layered approach. It then gives some history about the Clean Architecture. Finally the post briefly introduces the Clean Architecture itself - the circles and the dependency rule. It was a nice read - looking forward to read the follow-ups. Implementing Clean Architecture - What is a use case? Now that my architecture is screaming the business capabilities of my system let’s look at those with more detail. In the Clean Architecture all the application specific business rules go into the use cases circle. But what is a use case? How big should it be? How does it interact with its environment? How do I make my architecture “scream”? According to Uncle Bob an architecture “screams” when it clearly expresses its core business purpose. The top level folder structure, the project/DLL names and the namespaces should express business aspects rather than frameworks or other details. Athena is a web application implemented in ASP.NET MVC. But is this important? I could switch to Ruby on Rails or Node.js - it wouldn’t make any difference for the business. Why do we let such details impact our project structure so often? How to implement the Clean Architecture? Did you enjoy reading Uncle Bob’s Clean Architecture? I did! As with every book from Uncle Bob’s it is motivating and inspiring, right? So let’s take his ideas and realize these in our projects to gain what he is promising! But how do I start? How do I transform an existing code base - following a layered (web) architecture - into the Clean Architecture? … and forget about SEO! This week I had a discussion with a colleague of mine about stakeholder conform communication. The content of the discussion reminded me about the “2. Habit: Begin with the end in mind”. This habit is one of seven from Stephen Convey’s great book The 7 Habits of Highly Effective People. Every now and then I come across questions on how to handle dialogs in MVVM pattern with WPF. Honestly, most of the solution proposals I don’t like as they - from my perspective - somehow “violate” the MVVM pattern.